For a smart casual ensemble, go for a camel overcoat and charcoal jeans — these two items fit pretty good together. 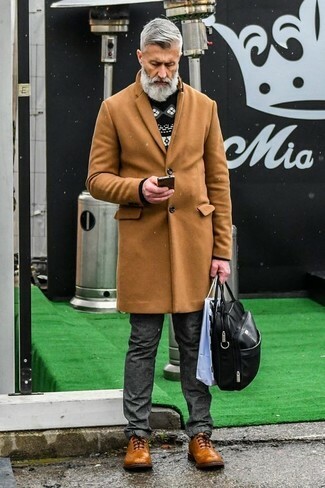 When it comes to shoes, this outfit is complemented wonderfully with brown leather brogues. 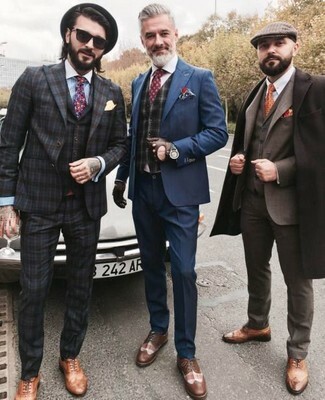 This combination of a navy suit and a charcoal plaid waistcoat is the picture of elegance. Hogan lace up brogues will deliver a casual vibe to your ensemble. This combination of a navy ombre crew-neck sweater and navy jeans combines comfort and efficiency and allows you to keep it low-key yet contemporary. 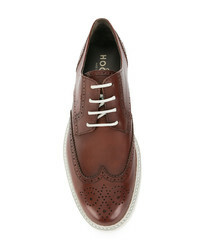 Make Hogan lace up brogues your footwear choice to take things up a notch. Contrary to what you might believe, outfiting seriously stylish doesn't take that much the workplace. 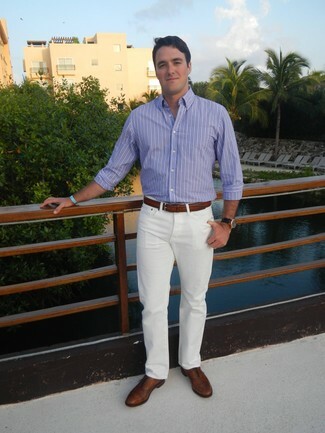 Just pair a white and blue vertical striped dress shirt with white chinos and you'll look incredibly stylish. 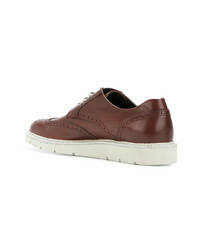 When it comes to shoes, this look pairs perfectly with Hogan lace up brogues from farfetch.com. 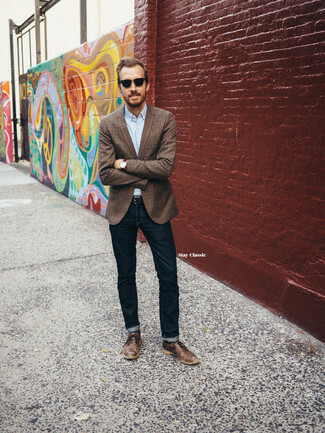 If you're hunting for a casual yet sharp ensemble, choose a brown check blazer and navy jeans. Both items are totally comfortable and will look great paired together. 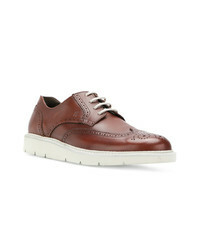 Amp up the cool of your getup by wearing Hogan lace up brogues. 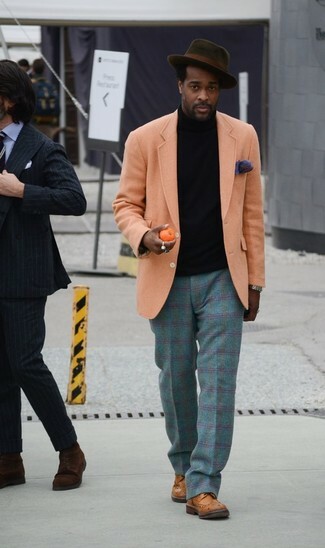 Choose an orange wool blazer and teal plaid wool dress pants for a classic and refined silhouette. To bring out the fun side of you, complete your outfit with Hogan lace up brogues. Try pairing a black military jacket with charcoal dress pants for a sharp, fashionable look. To break out of the mold a little, choose a pair of Hogan lace up brogues. Why not go for a black shearling jacket and navy skinny jeans? Both items are very practical and look awesome teamed together. 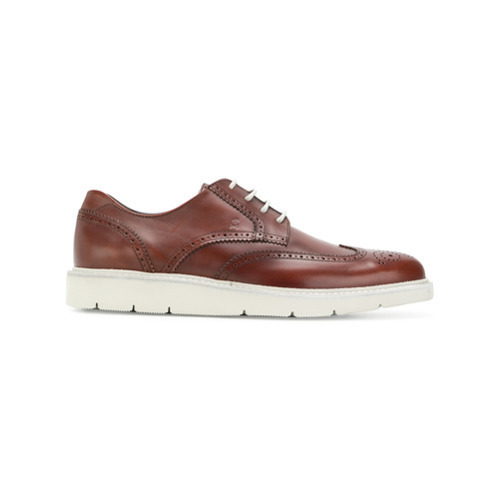 Brown leather brogues will bring an extra touch of style to an otherwise straightforward look. 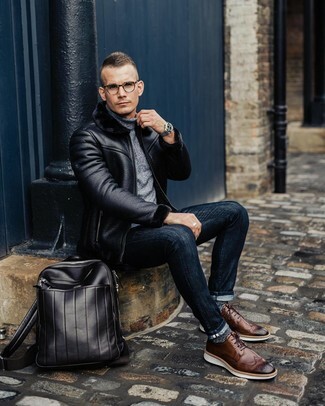 If you don't like being too serious with your looks, try teaming a brown bomber jacket with navy jeans. 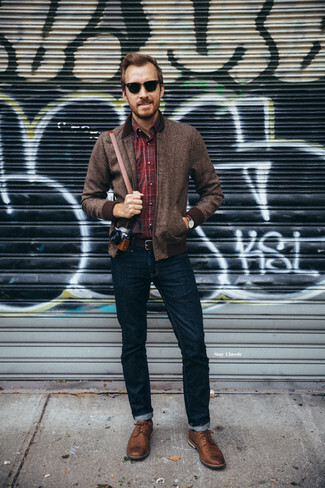 Bump up the cool of your getup by wearing brown leather brogues.